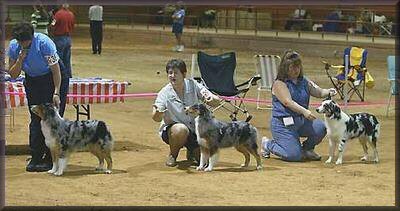 A breed standard is a conceptualization of the ideal specimen of its breed, and as such, is to be written and researched very carefully. The accepted definition of "breed standards" (The Complete Dog Book) is: "The set of breed descriptions originally laid down by the various parent breed clubs and accepted officially by international bodies." ASCA is the largest single-breed parent club in the U.S. and, as such, has a responsibility to maintain its respected status in the international community. To combine a working and breed standard into a single document flies in the face of tradition, in which written standards hold to a specific format and contain similar elements. 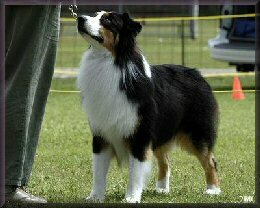 Also, at least 11 other AKC herding breeds have working/herding descriptions, and NONE are attached to their breed standards. "Written by people who knew the dogs firsthand in the environment where they were originally developed, the Breed Standard is the blueprint for judges to evaluate against." The ASCA Bylaws (see below) specifically state that the Breed Standard is the only standard by which Aussies are to be JUDGED. It doesn't state what KIND of judging-only that they are to be judged by the one standard. If a working description were to be placed within the standard, dogs being judged in the stockdog events would also have to be judged against the combined working/breed standard. It may sound ridiculous, but because the Bylaws MANDATE it, then either the Bylaws would have to be changed, or stockdogs would have to be judged by the entire standard, just as conformation dogs would be have to be judged on their working style. Of course, that would require an entirely new judging system, with judges qualified to judge both working and conformation. I don't believe such a system would ever work, as both the Conformation and Stockdog Programs would have to be changed drastically, nor do I believe the ASCA membership would approve it. 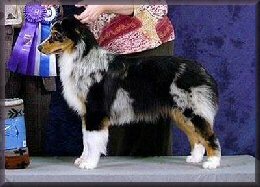 *ASCA Bylaws: .Article 2, Section 1, C. To encourage members and breeders to accept one breed standard for the Australian Shepherd as approved by the Club as the only standard of excellence by which Australian Shepherds shall be judged. This Website Is Copyright 2004, All Rights Reserved.